Since its inception International Poetry Month has offered a welcoming context for talented poets who are looking for a broader audience. IPM offers poets and readers the opportunity to reach around the globe and find beauty and inspiration from a worldwide community of readers and writers. 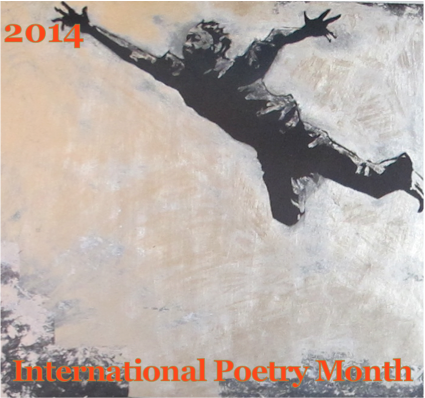 International Poetry Month had a ‘leap year’ in 2016 but it returned in January of 2017 once again offering a new opportunity to read, write and participate in the project. Submissions are currently open until Feb 10, 2017. Submissions open on or about Jan. 15th of each year with a series of short essays presented on that year’s theme. IPM starts on February 1st each year and ends on February 28th. One new poem is posted each day for 28 days and then they begin disappear on March 2nd of that same year. Each day, an introductory note and a teaser quote for that day’s poem along with a link is e-mailed to the participating poets and to IPM subscribers. Where the poet permits, an audio recording of the poem being read is left behind along with any available links to the poet and their work.